Obviously if I hunted through the forum topics I would hopefully be able to find the names I need to add all TFA members to my PSN account for friends ready for Destiny. But thought i'd start this to make it easy for us to find each other and get our psn's and bungie's linked faster. Just a heads up to anyone that's interested in looking into Star Citizen the upcoming mmo persistent universe created by Chris Roberts. Looking like a huge game so far. A few of us have decided to pledge and buy a ship. At the moment their around 47,000,000 invested and rising. Release will be between 6-12 months maybe a little longer most reckon, but its looking really cool and if you like Star Wars I think u'll be interested in this game. It'll have space simulation with realism, huge free decision story lines and also a live economy and fps built in as well as space simulation with exploration, planet's, trading, fighting, guilds/clans, to much to list all as well as solo and multiplayer play all in a persistent universe. Give it a look here if you haven't yet, def worth a peek. Guessing how many of us play Warframe now and how big its become I thought I'd post a help list on what the guild is looking to obtain for the guild dojo or for a single player build that your looking for specific mod's or blueprint's. I'll start by posting what im looking for on my main Warframe build. 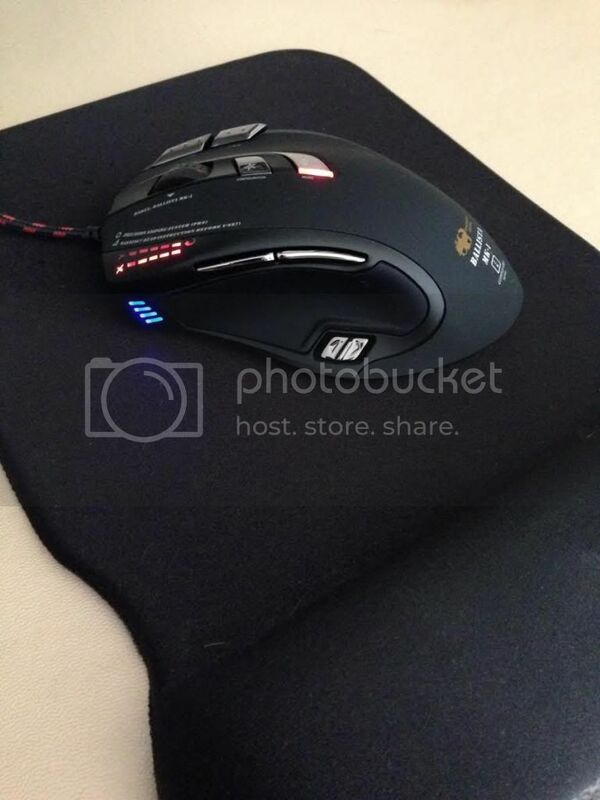 Just a quick heads up if your looking for an affordable gaming mouse i'd recommend the Shougun Bros Commander Series Ballista MK1. Got it yesterday and its wiped the floor with my older CM Storm Sentinel. Really comfy and got a good selection of shortcut buttons that don't effect handling or movement. Pic Below. 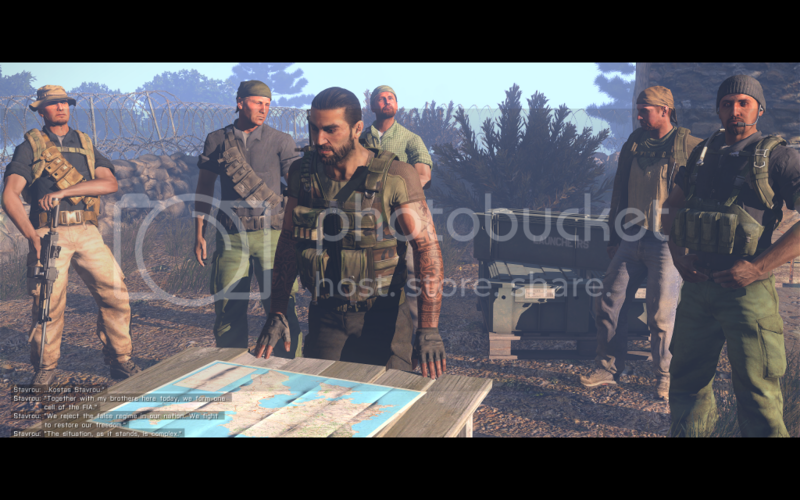 Just a screeny from Arma 3. Just as I remember from the first ever Arma I played so many buttons and you die with a few hits as usual good realism, good fun though in campaign mode which im playing at the mo. Got Bored and had a tinker around on photoflex and made up a DayZ Patch for us for forum recruitment on Official DayZ Recruitment Server if we ever decide to try get more players to join us in game the patch might get more interested in our server etc. Then press P for players on server giving access to kick any player needed. Once that's up you can see the last 3 active players or press M for Map and bring up all players in game. Each player has a number next to them, for example: 124. "player name"
Once you have the number of the player you then go back to direct chat again and type: #exec ban 124 which will then remove and ban the player from entering our server again. 1.) If they use TFA in their name trying to disguise themselves as one of us INSTA BAN. 2.) If there is a form you see that player is hacking or cheating. 3.) If that player is only hunting freshmeat (starter players) in game and you find out that's happening. 4.) If they use any vocal or typed chat that's offensive to a member or non member in game. 2.) If a non member logs in during our times which state members only 8pm to 12am for non members) all other times you can kick a non member player. 4.) If a players name is not acceptable to TFA's server. 5.) If a clan comes onto TFA flooding the server with heavy numbers. Try control the players by kicking a few to start don't axe all at once. Any Question just PM me in steam. Hi all just to let you know for the Clan play in DayZ I wanted to keep TFA. But in doing so The Farstar Alliance didn't quiet sound right so kept the initials and worked it as Task Force Alpha, so we are still TFA and connected within all the guild. 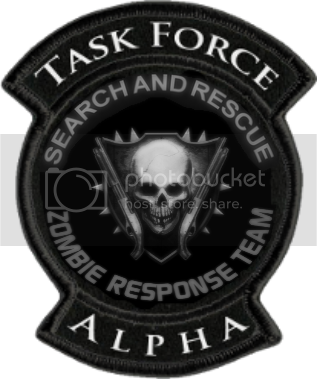 But known in DayZ as Task Force Alpha.